But how often should we clean our air ducts? Well, the answer depends on your circumstances. This information shouldn’t be news to you. 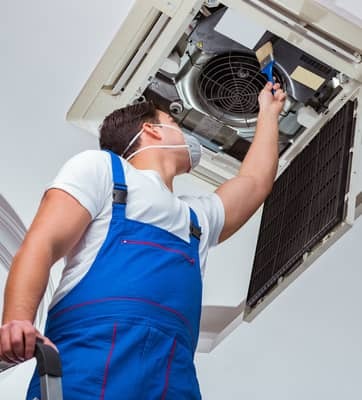 If you haven’t had an air duct cleaning for a while, it’s time to have one. What, though, constitutes as “a while”? According to the National Air Duct Cleaners Association(NADCA), you should get your air ducts cleaned every 3 to 5 years. Needless to say, those numbers aren’t definitive. Everyone leads a different lifestyle. As a result, some of our air ducts get grimier than others’. That said, use the numbers as little more than a guideline. Doing so will allow you to keep your ducts relatively clean. Those pesky allergies just won’t stay away. We try all manner of air purifiers only to sneeze and sniffle for the entirety of the season. Sadly, your allergies just aren’t going away. But the grime in your air ducts could be going away soon if you invest in a good cleaning. Simply put, your allergies pretty much mandate that you clean your ducts more often. So the NADCA’s recommendation? You might want to stick with the lower limit. As a matter of fact, we’d suggest that you consider getting them cleaned more frequently. Perhaps you could try, for example, cleaning them every 2.5 years instead. Puppies and kittens are the stuff of life. They cuddle you and kiss you and have accidents on your rugs from time to time. Pet dander is just one of the realities of pet ownership. We try our best to manage the danger with cleaning products, but we can’t fight it all. Consequently, the pet owners amongst us should get their ducts cleaned more frequently than others. And if you have allergies and own pets? Let’s just say that you’ll be cleaning your air ducts more often than you’d like to. Imagine that you’ve just moved into a new house. The previous owners left you some information about the house, but not much. Which means that you don’t know what state the air ducts are in. So guess what? You need to err on the side of caution and get them cleaned. And if the ducts weren’t in need of a clean after all? At least you and your family will have ultra clean air to breathe. We hope you kept a mental checklist as you read. Did you find out that you’re in serious need of an air duct cleaning? If so, why not take a stab at getting them professionally cleaned? We’re already prepared to do right by your air ducts. All you have to do is select your plan.